This past week, Brett and I shared a beach house with a few friends in Dewey Beach, Delaware. It was an ideal weekend of sun and sand, and of course, great food and drinks. Just a few weeks prior, I had traveled to Rehobeth Beach with some girlfriends, and it was then that I finally got my hands on my very first taste of Annie’s Banannies. You may wonder, what exactly is Annie’s Banannies? Well, “Annie” is Ann Ketchum, the owner and founder who learned how to transform frozen bananas into an ice cream consistency from her parents and decided to honor their memories with a store of her own. Between my two visits, I can safely say that I have had Annie’s at least six times. It’s just that good. You can watch the employees push the frozen bananas through the Champion Juicer, and out comes thick swirls of “ice cream.” It’s healthy, vegan, and gluten-free, something that has become even more important as more people are diagnosed with Celiac Disease. 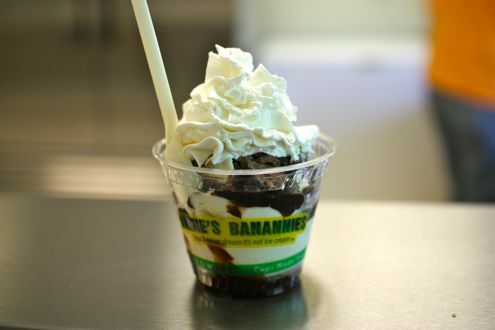 The banana base may be a little bland in itself, but that is when the fun toppings come in. 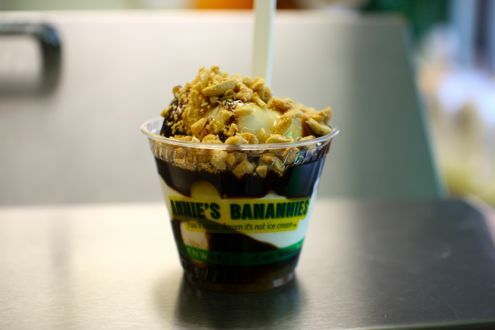 You can choose from many concoctions like the Nutty Banannie (natural peanut butter and chopped peanuts), the Tropical Banannie (mango, pineapple, and coconut flakes), and the Banana Cream Pie (crushed graham crackers and whipped cream). 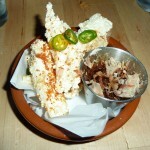 You can also create your own from a variety of toppings. My personal favorite is anything blended with their natural peanut butter. Mix that peanut butter with chocolate syrup and some nuts for an indulgent dessert, or with strawberry puree for a taste just like peanut butter and jelly. You really can’t go wrong with any of the selections. I even got Brett hooked and it’s tough to lure people away from other boardwalk options such as Kohr Brothers! And for all you Weight Watchers out there, keep in mind that the Bannanie is simply a frozen banana, and if you add just fruit toppings, you have yourselves a Zero Points Plus treat. And here’s the really good news: you don’t even have to trek out to Rehoboth to enjoy it. Annie’s has opened up a temporary location at the Inner Harbor Light Street Pavilion in downtown Baltimore! 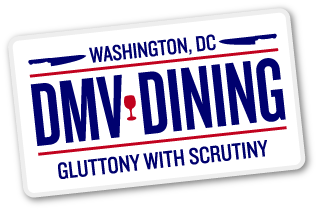 It’s slightly closer than Delaware, but we would be doing backflips if she opened up a shop in DC. One thing to note is that apparently Chicken Out also serves a similar variation of Annie’s. I haven’t tried it yet so I can’t vouch for it, but if it’s anything close to Annie’s, it may have to do to feed my addiction before our next beach outing.